"How to Travel Europe by Car"
European travel information reveals how to travel Europe by car. Do you really need one? Well, it all depends on where you plan to go. Most popular cities are easily navigated via buses and trains. The more remote and picturesque towns are not so easy to get to. For these special spots, you are going to need a car. Super freeways (or autobons) are toll-free in Northern Europe. In Southern Europe not so much. Expect to pay tolls in order to travel through these super freeways in the South. Southern Europe is easily traveled by train and public transit. That's probably why you must pay tolls here. In more remote areas, especially in Northern Europe, a car may be necessary. Certain areas and towns are only accessible by car. And that means less tourists and crowds. It's relatively simple to travel Europe by car. You can drop off your rental in a different city and even in a different country. Just make sure to ask your European car rental agency about any fees beforehand. There is no need to be fluent in different languages when traveling through Europe. But you do need to learn some navigation basics such as “entering” and “exit” when traveling by car. Color-coded signs are located near the entrance and just before leaving European towns. These will point you to the nearest autobon. Make sure you know the signs for “No Parking” to avoid being towed as well as key symbols such as “Wrong Way” and “No Passing”. They are easily identifiable and are all the same throughout Europe. In Europe, distances and speed limits are in kilometers. A kilometer is 6/10 of a mile. A simple way to convert kilometers to miles is to divide the kilometers by 8, and then multiply by 5. For example: 80 kilometers would equal 50 miles (80 / 5 = 10. Then, 10 x 5 = 50). European super highways may be the fastest way to get to and from your destinations in many instances. Make sure to stay in the right lane, unless you plan to travel at high speeds. Cars will drive up close and personal if you decide to drive on the left lane at slower speeds. Take this European travel information seriously. Some cities are best traveled by car. Others are only accessible by car. This means you will have to depend on European car rentals to enjoy these spots. Prices can vary dramatically from country to country and from month to month. For cheap car rentals in Europe, it is a good idea to book a rental before leaving your home country. That way you avoid unnecessary confusion and varying price quotes. You can pick up your car in one city and drop it off in another. This means you can travel Europe by car to any remote area. Even if you do not plan to drive in Europe, pack your driver's license and credit card just in case. A European rail pass can sometimes be mixed with vouchers for car rentals. Plus you can save money by arranging your car rentals before heading for Europe. Many times discounts are offered for seniors, couples, or youths. An affordable European travel information tip is to avoid one day car rentals as they can be expensive. Car insurance comes with a basic policy. It is a good idea to invest in a Collision Damage Waiver Supplement (CDW). It will be much more expensive if you return your vehicle with a dent. Avoid trying to cut corners when renting a car in Europe. You can save money by purchasing this supplement through Travel Insurance Companies. Budget European Travel Information Tip: Check with your credit card companies. They sometimes offer car rental insurance for free. Affordable Travel is not synonymous with inferior conditions. It's about getting more for your money. Use simple strategies for traveling cheap like staying at hostels or bed and breakfast inns. They are more affordable and very common in Europe and South America. Find the best ways to exchange currency, withdraw money, and pack for European travel. Remember that packing light is essential for a stress-free travel experience. And just as important is learning how to stay safe while getting around in Europe. Use this European travel information to protect yourself. Here you will find a list of agencies and resources to help make your travels a safe experience. It also details where to go if you have an emergency. Europe is a magical place. But it can get quite expensive. Unless you know all the things to do in Europe for free...from a stunning view of Paris to free concerts in Amsterdam. Here is a list of what to see. European road maps are a great buy. You can find one pretty much anywhere in Europe. And they offer fantastic sightseeing information. Make sure you wait until you are in Europe to buy one. They are much cheaper abroad. Petty thieves target tourists. That's a fact. These scam artists come in many forms including mothers and small children who are fantastic at pick-pocketing. They are experts at stealing your wallets and what's in your purses and fanny packs. Save yourself unnecessary headaches by wearing a money belt. Keep essentials such as passports, credit cards and plane tickets safe inside. Below you will find European travel information for Italy. Find out what to do in Italy as well as where and when to go. This stunning country is awash in miles of sunflower fields and city-hugging cliffs. Plus it houses the fashion capital of the world. It all depends on what you desire to experience. There is too much to see in one visit. Guess you'll have to come back for more! 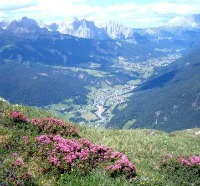 You will discover Italian Festivals to be as varied as the landscape. Passionate combatants in costume will battle it out in Florence. And tender processions grace Sicily during religious holidays in Pascua. Check which festivals you want to be a part of. You will discover breathtaking views just about anywhere in this country. Depending on which regions of Italy you want to experience, make sure to dress accordingly. 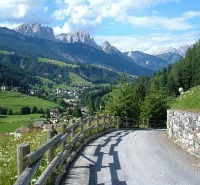 These 20 regions include the cooler regions of the Po Valley to the warmer, Mediterranean areas of Calibria and Sicily. Be aware that during public holidays in Italy many businesses will be closed. These holidays are enthusiastically celebrated throughout the country. Make sure to check specific dates when planning your trip. The climate in Italy reveals surprisingly pleasant weather. Abundant sunshine is the norm. Winters are mild and summers are temperate. It is highly unlikely that you will experience drastic temperature changes throughout your day. Do you really need to travel Europe by car? It all depends on where you go. Take advantage of the above European travel information tips to ensure your travels are safe and affordable...from wearing a money belt to knowing where to lay your head at night.